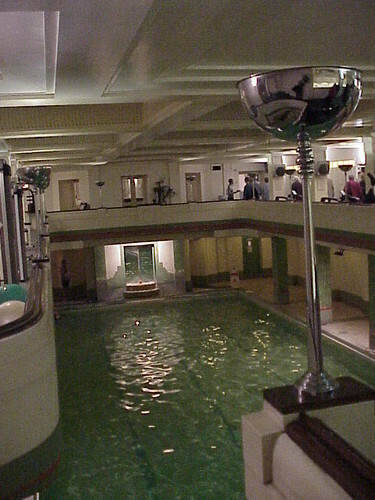 In 2001 I was able to see this fabulous Art Deco swimming pool at one of those private London clubs because they had decided to be part of the Open House London programme. It was great to see somewhere that under normal circumstances I would not otherwise have been able to visit. 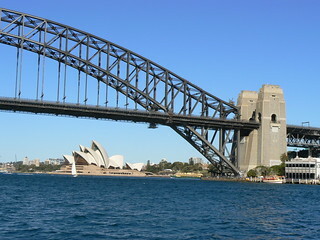 This is one of the most iconic structures in the world, the Sydney Harbour Bridge. 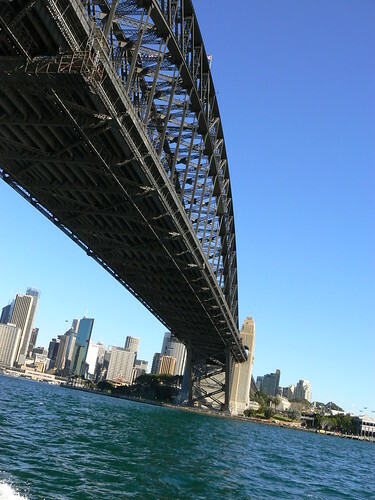 It took a long time to complete a bridge between the CBD and North Sydney. 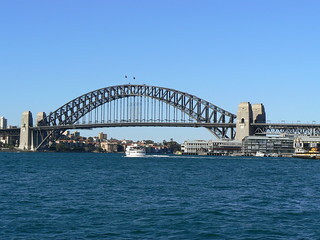 As early as 1815 Francis Greenway proposed a across the harbour and a royal commission in 1890 led to the construction of a series of bridges to help relieve the heavy level of ferry traffic on the harbour. These bridges may have helped for a while but by the turn of the 20th Century proposals for a new bridge were requested. It took eleven years for a formal proposal to be accepted and another year before John Bradfield was appointed as the Chief Engineer of the bridge project. Bradfield completed a design for the bridge in 1916 but mainly due to the effects of the First World War the plans were shelved until 1922. 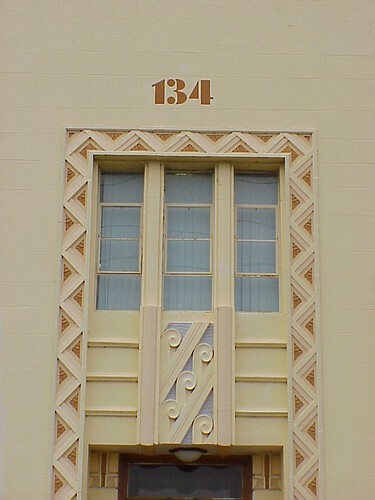 The construction period started in 1923 with the demolition of 800 homes and proceeded for almost a decade before the Sydney Harbour Bridge was opened on 19 March 1932, first, unofficially by Captain Francis de Groot, a member of the New Guard, a right-wing paramilitary group and then shortly afterwards, officially, by Jack Lang, the Premier of New South Wales. 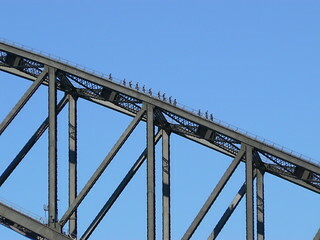 Today, the bridge is a major tourist attraction and the centrepoint of Sydney's New Year's Eve fireworks display. You can even climb to the top. 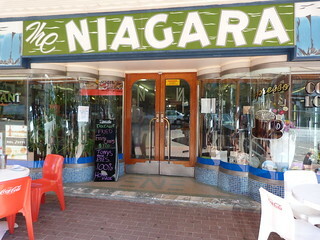 Just up the street from the Niagara Cafe is this wonderful piece of modernist confection. 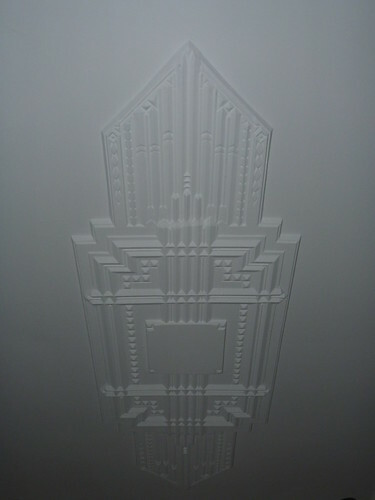 I love these ceiling 'roses' in a house in Warragul. 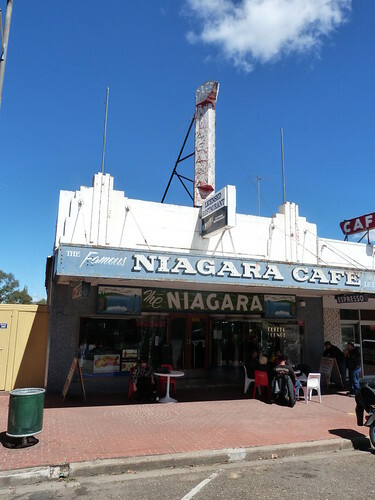 I hope you saw my post the other day showing some the Art Deco features inside the Niagara Cafe in Gundagai. 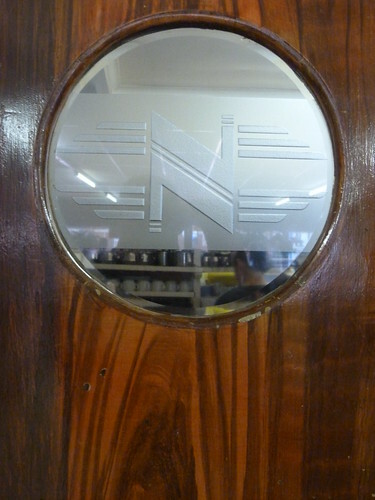 Well, this is what the outside of the building looks like. 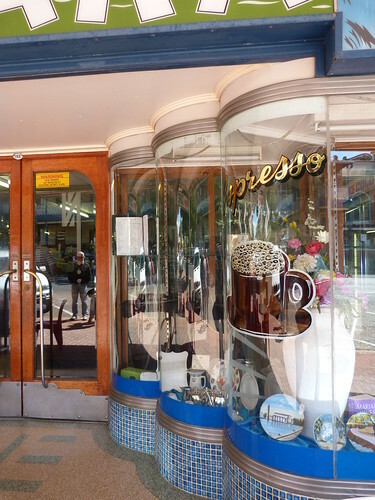 Very good a street level, if you can ignore the small blue tiles at the foot of the building. 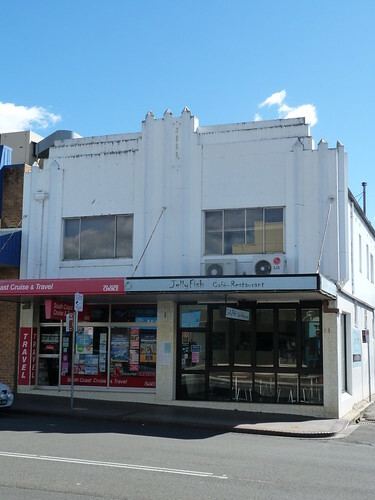 The façade above the verandah could be sensational but needs a bit of work. 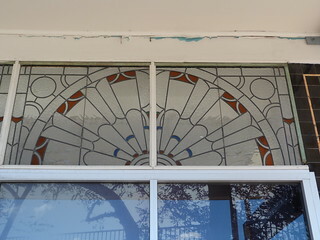 A lick of paint would improve it immensely. 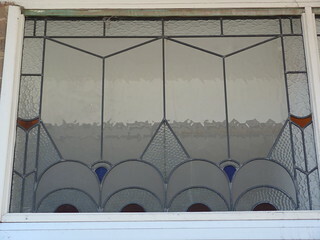 But I'm sure you'll agree this set of three curved windows stepping into the doorway are brilliant. 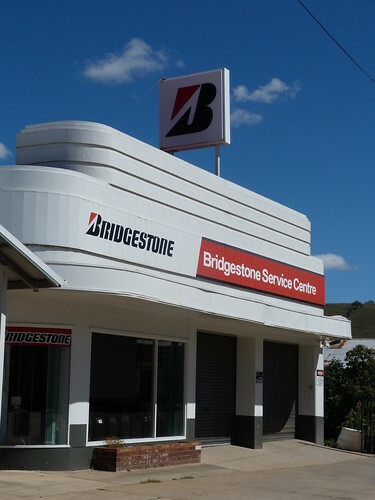 If you are making the long drive between Melbourne and Sydney along the Hume Highway then you really need to take a break at Gundagai. 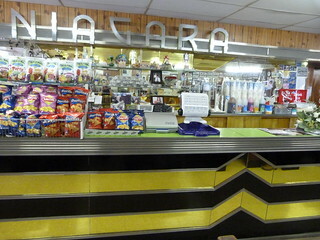 Perhaps a burger and a milkshake at the family-run Niagara Cafe while you admire the original deco interior. 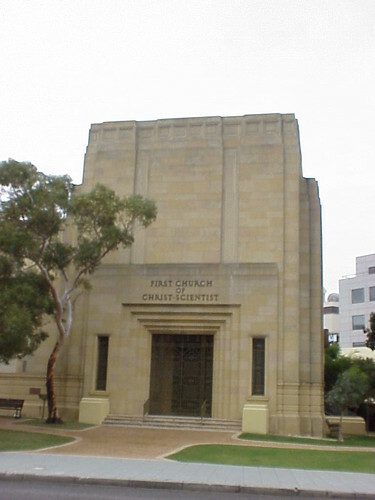 This is the First Church of Christ∙Scientist in Perth Western Australia. 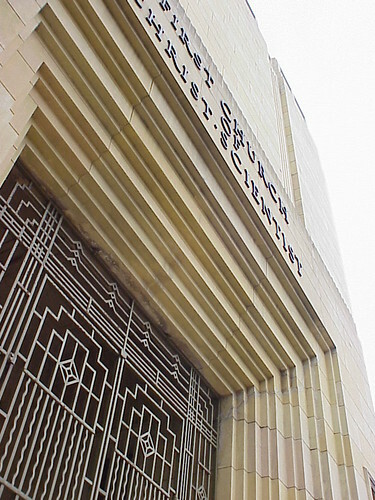 It was designed by architectural firm Ochiltree & Hargrave with the first church services held there on Sunday 25 June 1939. 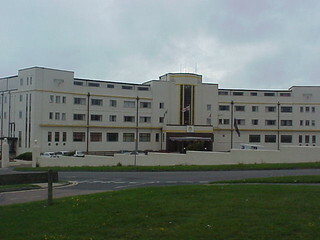 I took these photos of the former Ocean Hotel in Saltdean around 2001. 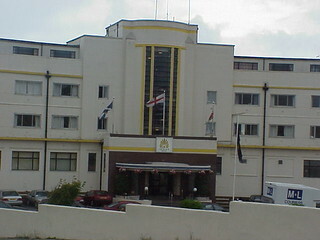 It was opened as he Ocean Hotel in 1938 but was taken over by the Auxiliary Fire Service during WWII and later became a fire service college. 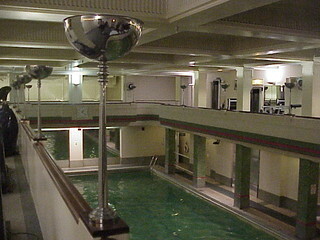 In 1952 the lease was acquired by Billy Butlin and operated as a Butlins Holiday Centre until 1999 when it was sold to the Grand Hotel Group and it remained as a hotel until 2005. 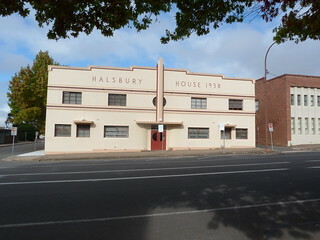 Since then the Grade II Listed main building has been converted into apartments. 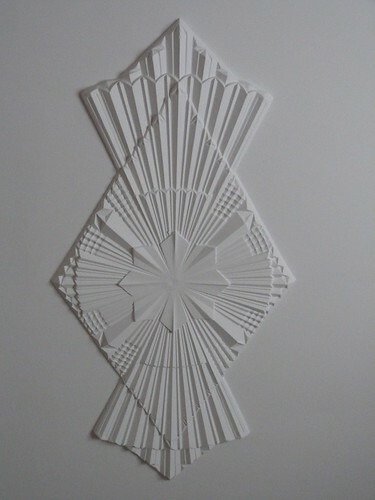 Butlins Ocean Hotel, Saltdean, Butlins Memories. 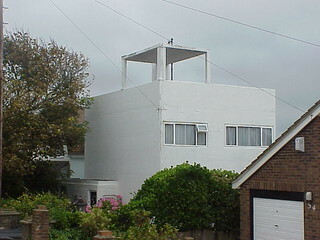 An interesting Modernist house in Saltdean in the south of England. 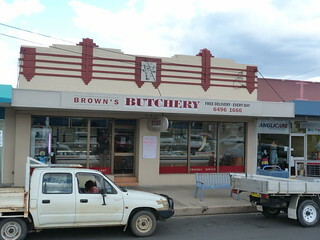 The shopfronts at street level are quite modern but the façade and roofline above them point to an older, more beautiful (I think) building. 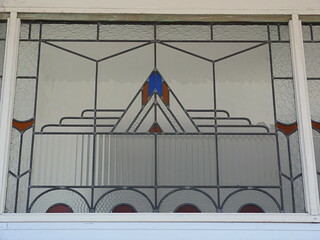 I found these fabulous Art Deco windows on a former bakery in Moruya on the southern coast New South Wales. 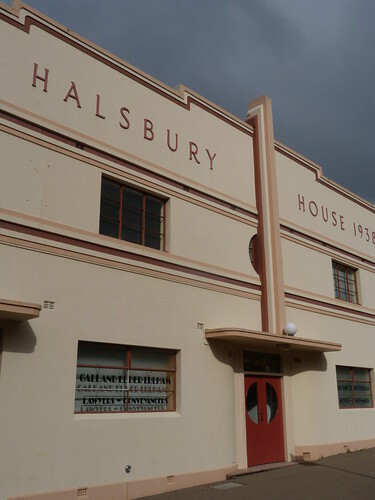 This is Halsbury House in Goulbourn, New South Wales. 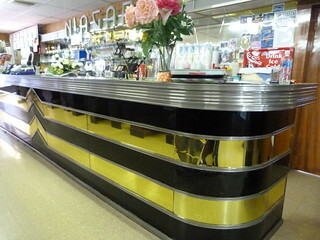 As can be seen, it was built in 1938. 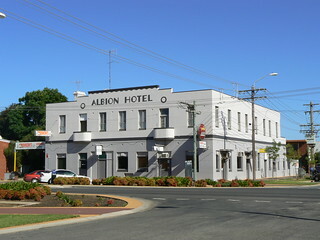 This is the Albion Hotel in Finley in rural New South Wales. 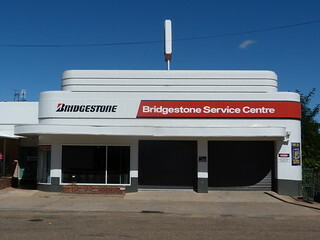 I wish I could remember something about this building. I know it is in Tulsa but whether it is a house or a commercial building has leaked from my memory. 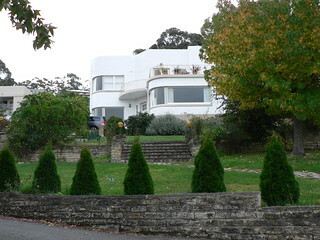 I suppose those trees have grown a lot in the six years since I took this photo so you don't get such a nice view of the house now. 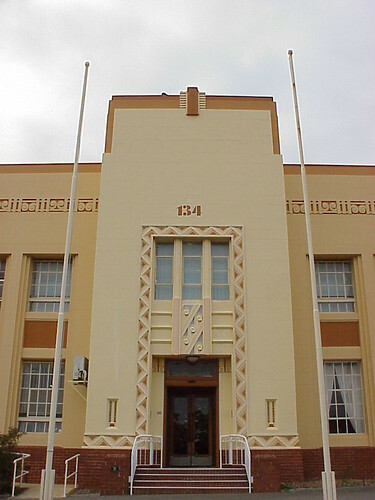 This wonderful Art Deco building is the former Royal Western Australian Institute for the Blind at 134 Whatley Crescent, Maylands. 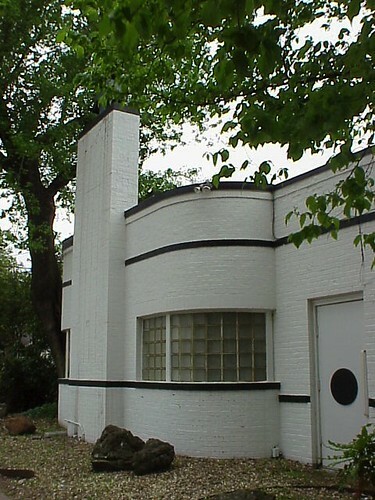 It was designed by A E Clare and built in 1937. 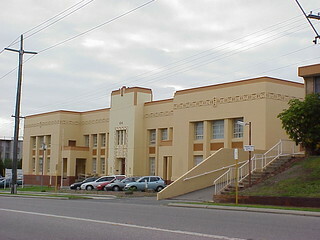 It is listed by the Western Australian Heritage Council and is currently the home of the West Australian Ballet. 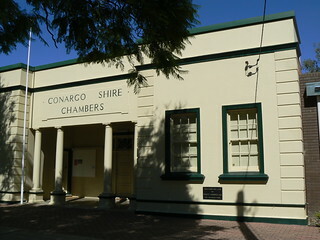 The foundation stone of the Conargo Shire Chambers was laid be Percy Landale esq on 20th December 1930. Another stone set in the wall, informs us that A C Fitznead was the Engineer and W J Caddy was the Builder. 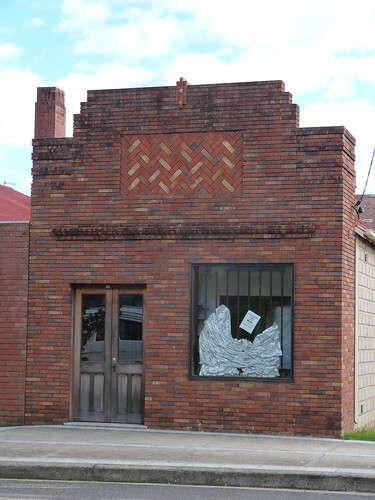 Here's another building in Bega with some crazy brickwork.